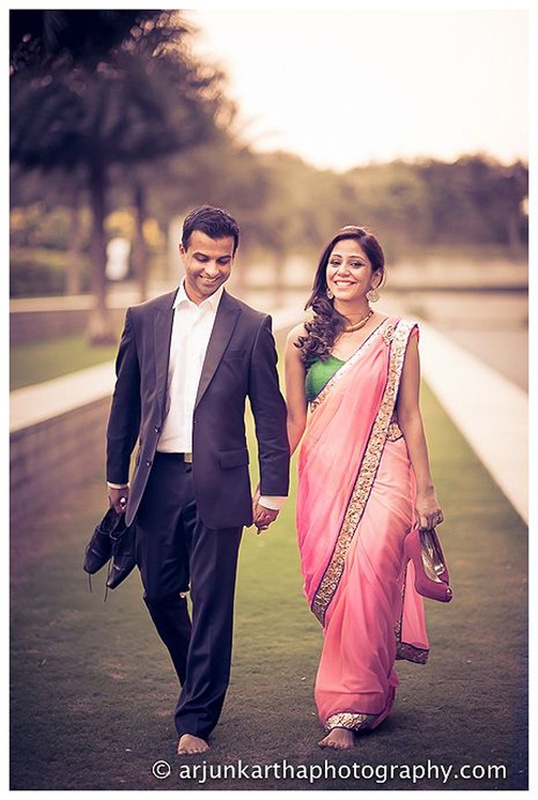 Ever heard of “Love at first sound?” Crazy-cute, isn’t it? 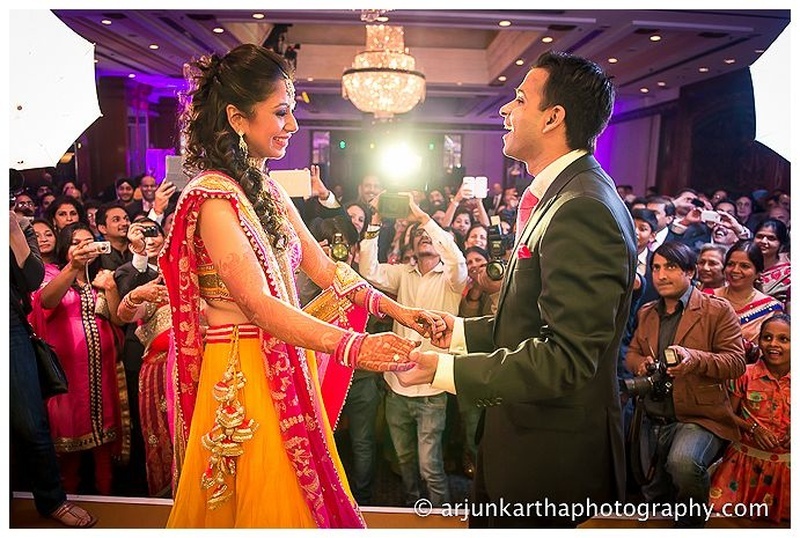 Arranged by their parents, brought together by destiny all it took was one phone call for Abhinav to fall hard in love for Aarti! 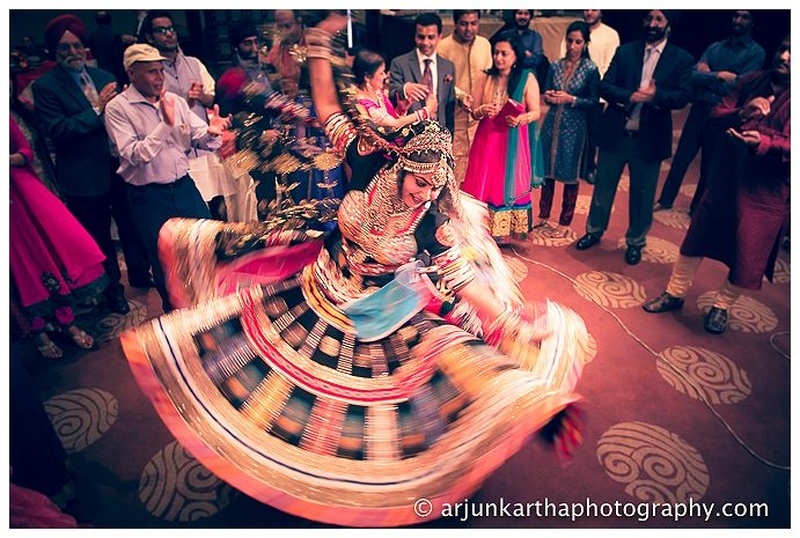 And this gorgeous bride responded just as well. 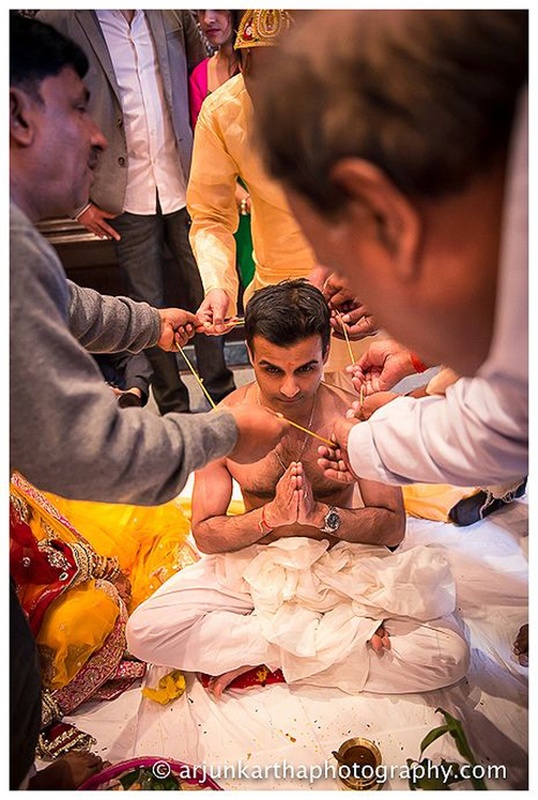 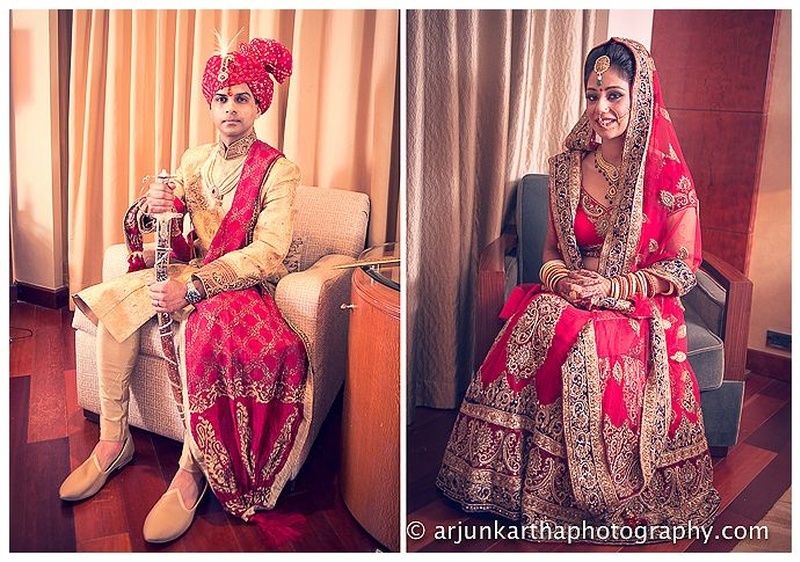 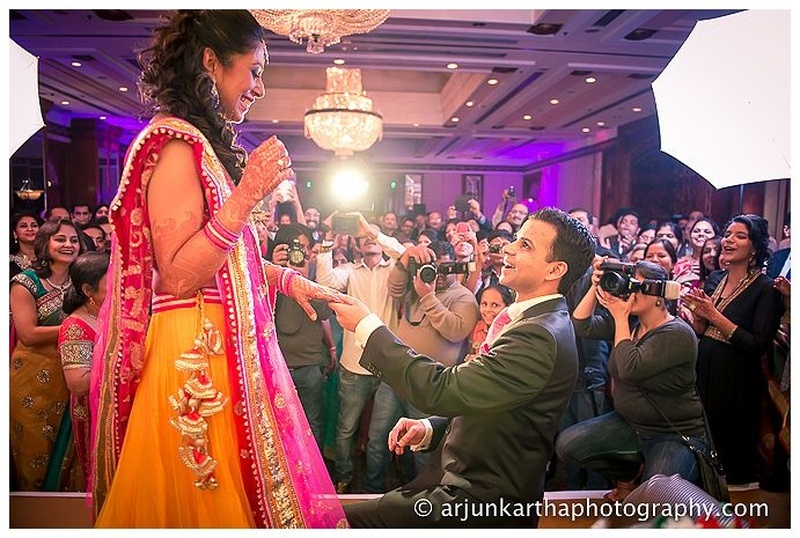 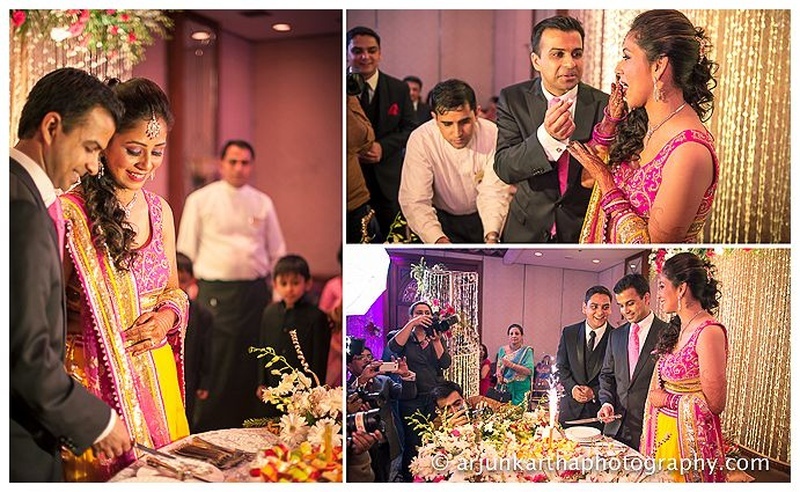 The ring ceremony was held at the Sheraton, Delhi and was just the kind of pre-wedding event you would want to be at! 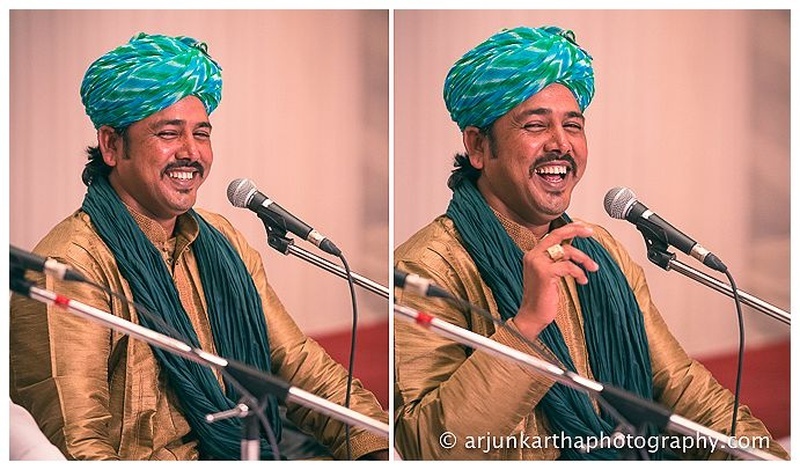 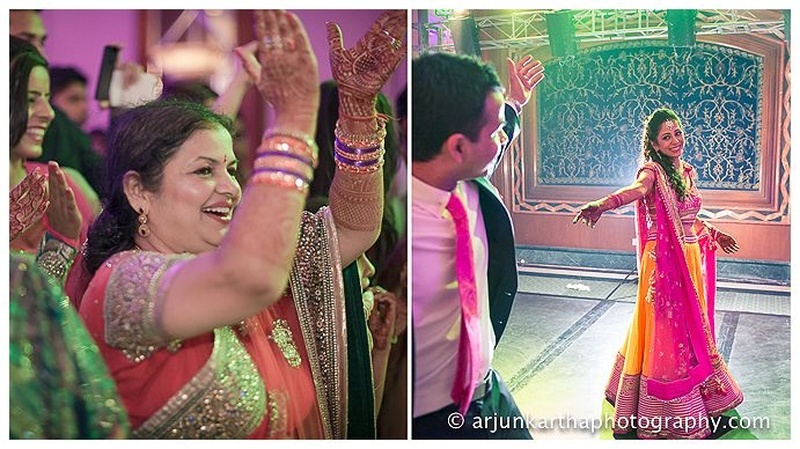 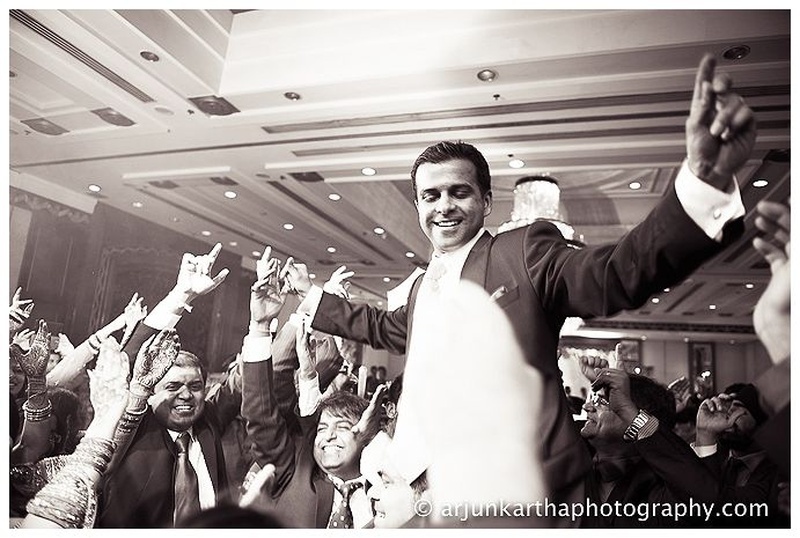 Loads of dancing, sufi singers and traditional rajasthani dancers made this engagement + sangeet a win! 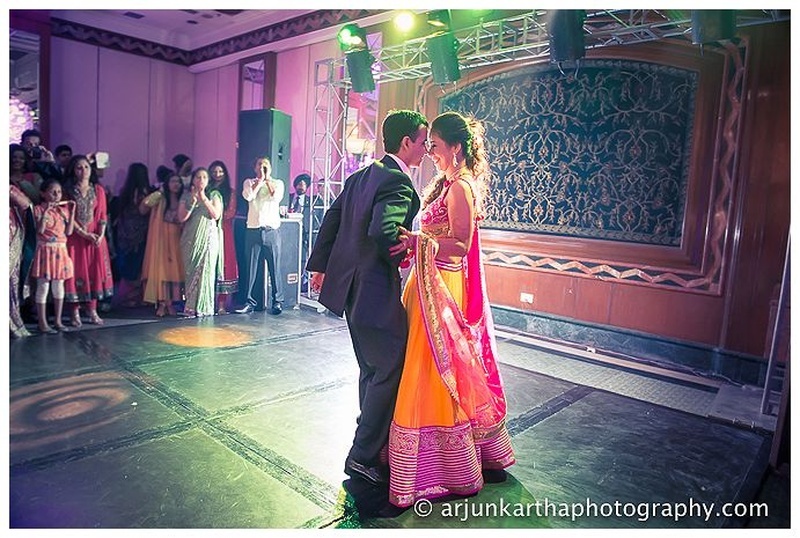 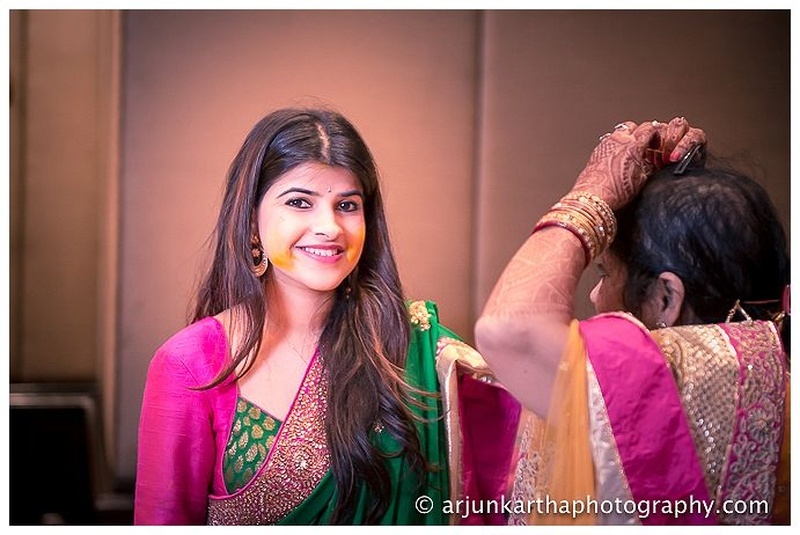 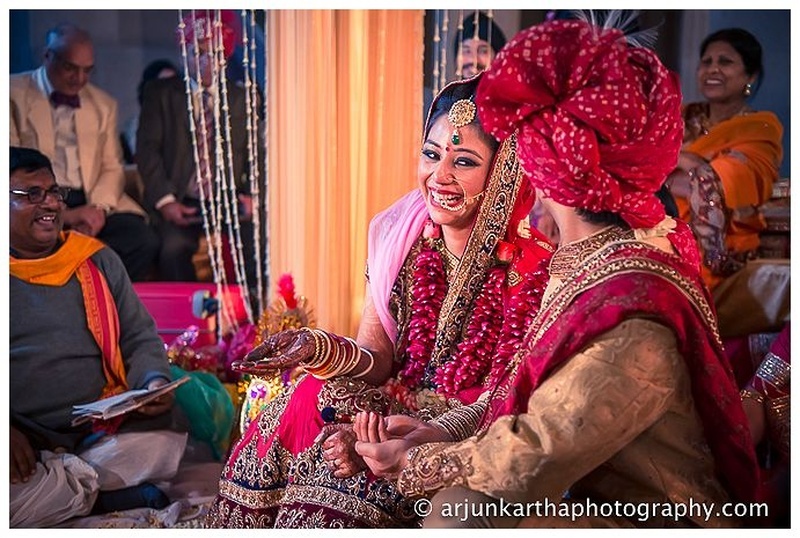 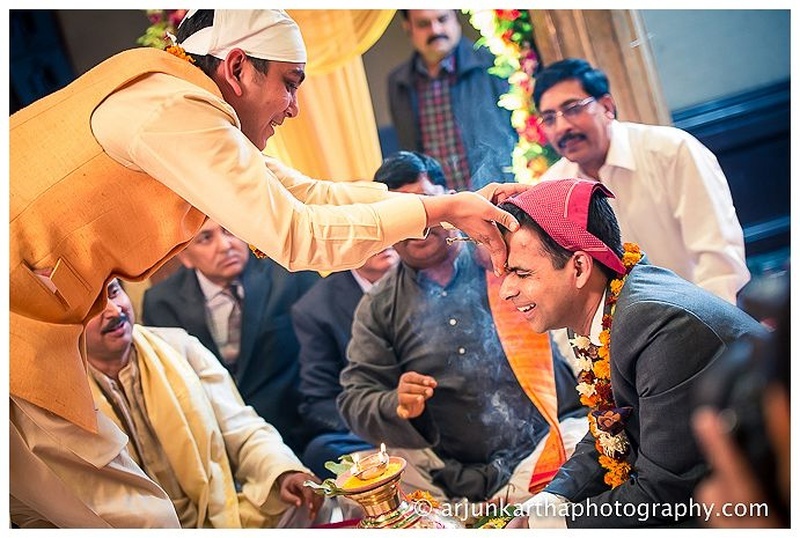 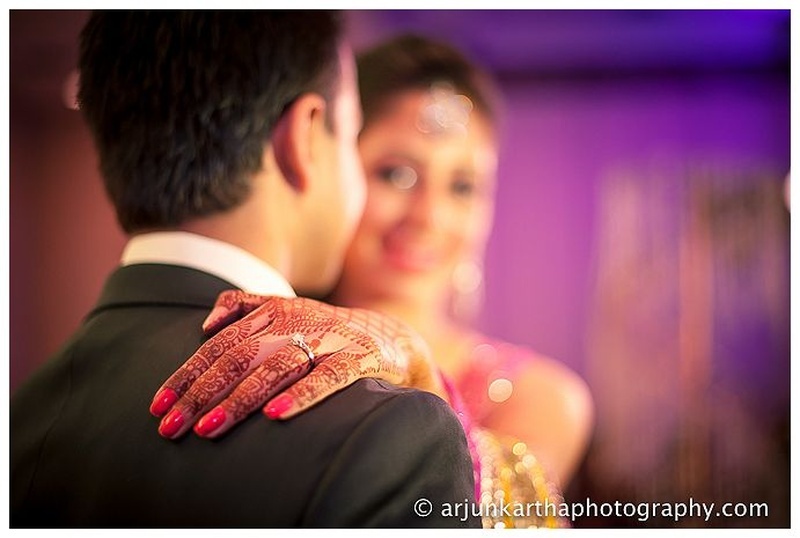 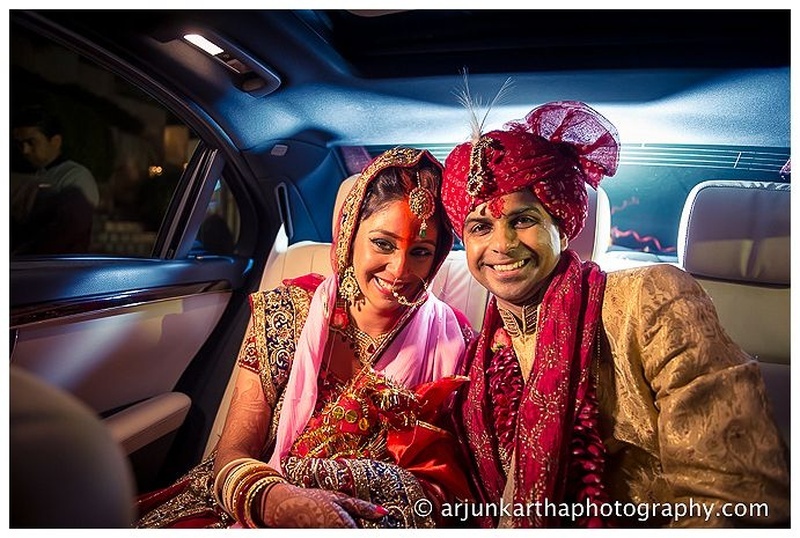 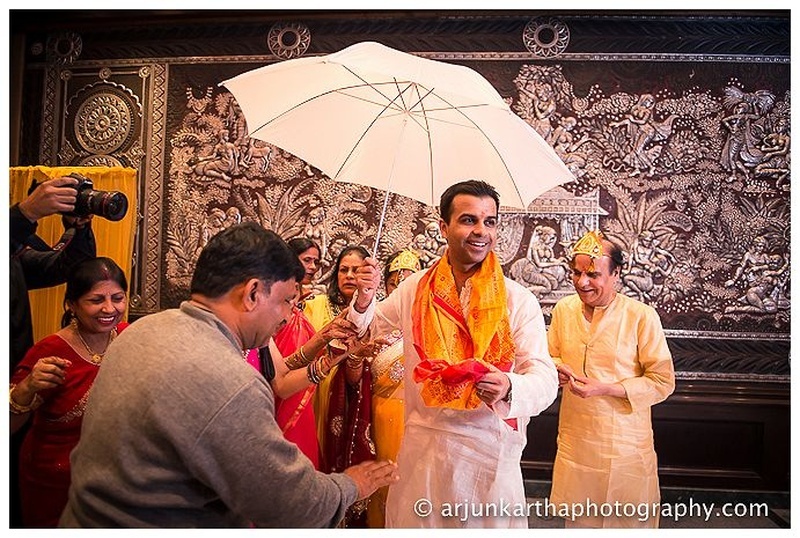 While this function was all bright and beautiful, Aarti and Abhinav’s wedding had an old-world charm to it with bouts of fresh young love that made it oh-so-special! 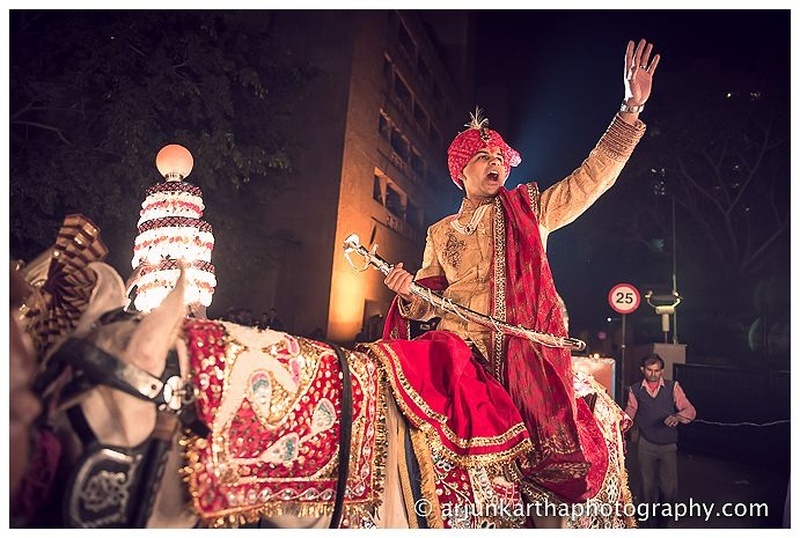 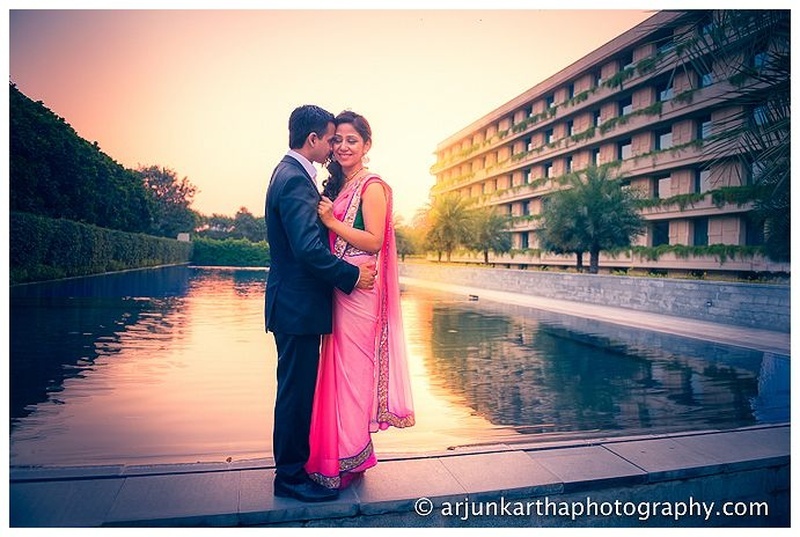 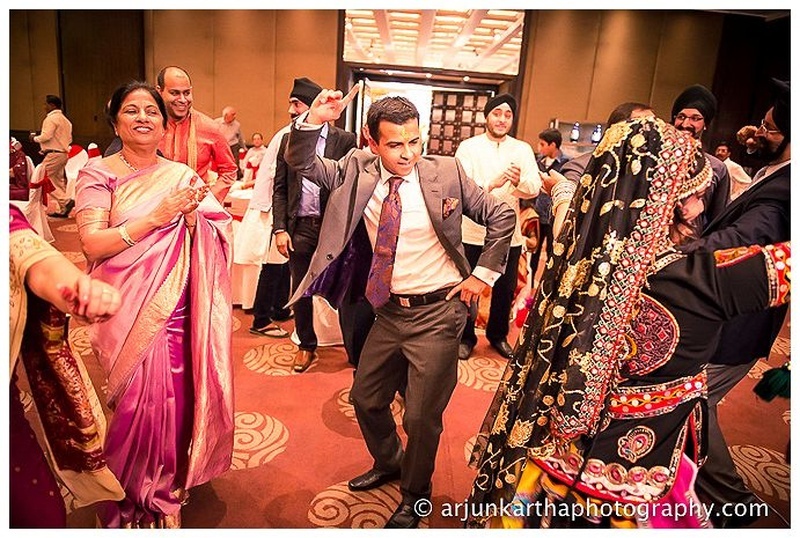 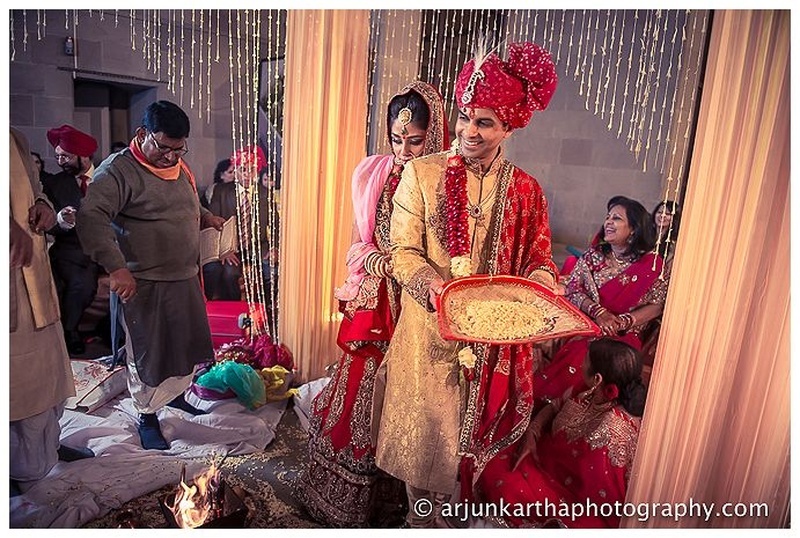 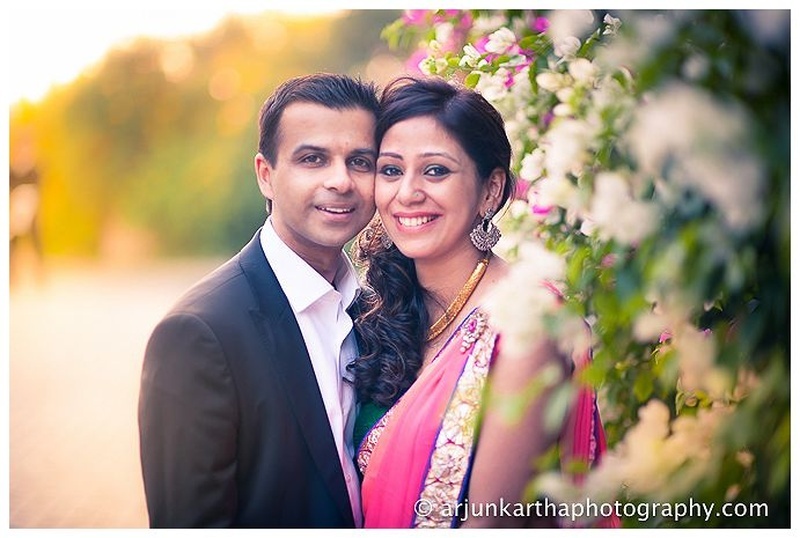 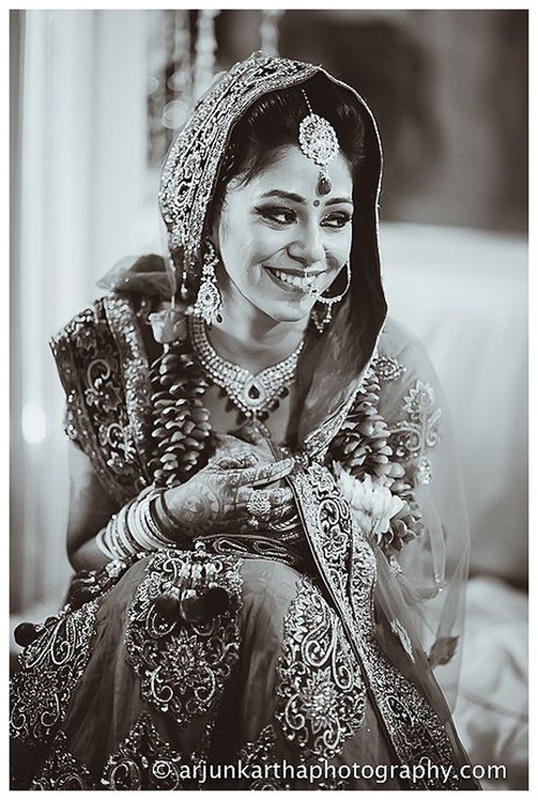 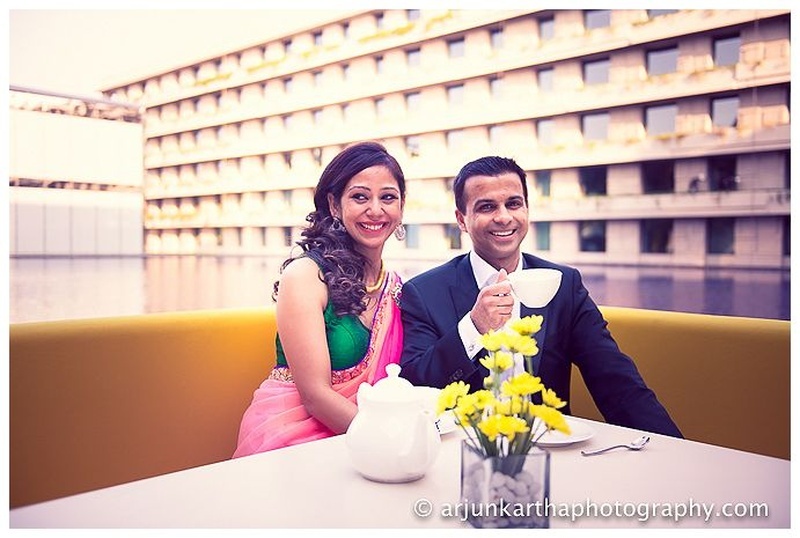 Held at the opulent Hyatt Regency New Delhi, their wedding celebrations were all things traditional complete with Aarti in a classic red wedding lehenga and Abhinav in a dapper textured gold sherwani – they looked absolutely desi chic. 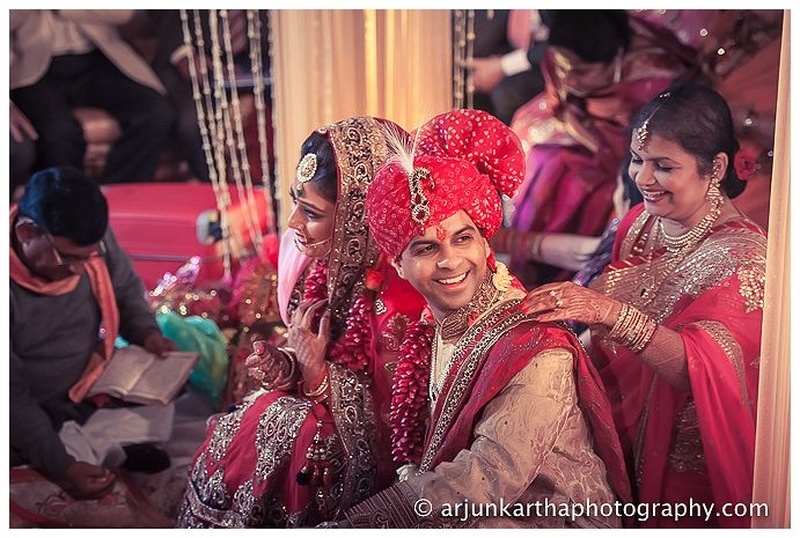 Their mandap was all drapes and strings of tube roses which created a beautiful ambience for the couple to take their Saat Pheras. 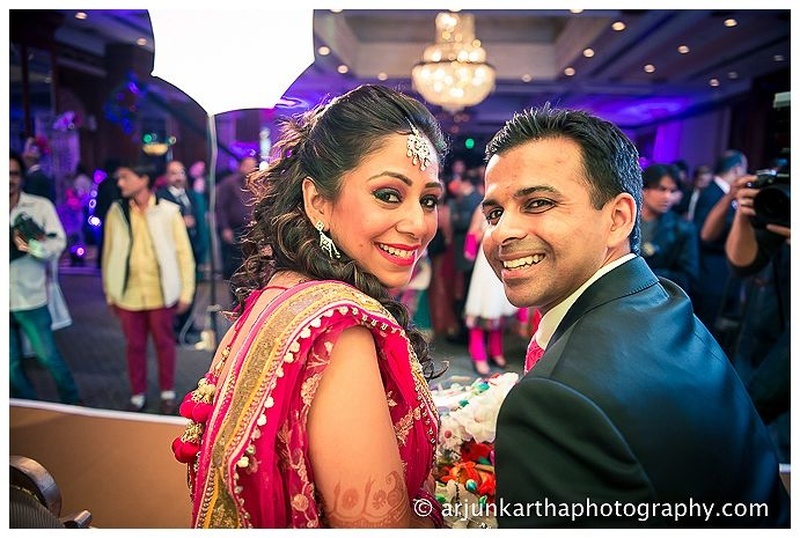 Shot brilliantly by Arjun Kartha and his team, Aarti and Abhinav’s wedding was the embodiment of the words “Beauty lies in simplicity”. 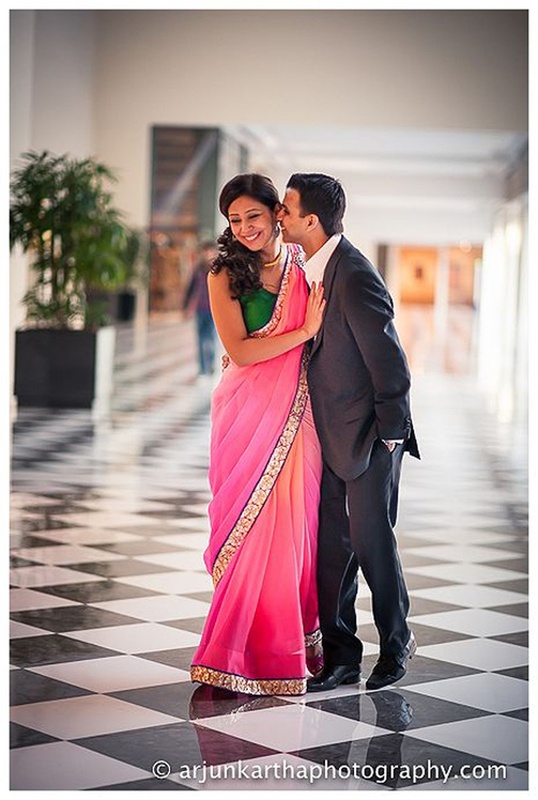 Right from the no-fuss pre-wedding shoot where the laughter overflowed and the love never ended, to the end of the wedding, each photograph captured by this uber talented photographer spoke of each true emotion felt – now isn’t that what wedding photography is all about?